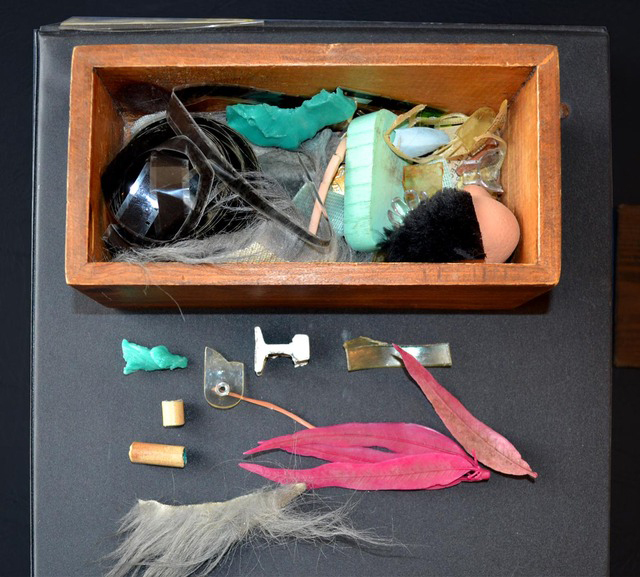 In 2010, Fritz of Imagineering Disney posted Little Box of Treasures, a photographic look inside his box of artifacts that he collected while working at Disney’s theme parks. Fritz, a former artist and graphic designer for Walt Disney Company, says “…this garbage represents a whole lot of theme park ingenuity and memories of getting my hands dirty early, early in the morning…” See his entire collection at Imagineering Disney. While working with animatronics and props I would find myself emptying the pockets of my work clothes at the end of the day to find scraps of that day’s work. I decided to keep some of this stuff in a box so years later I could remember the variety of materials I once used. Coins from the Frontierland Shootin’ Arcade.